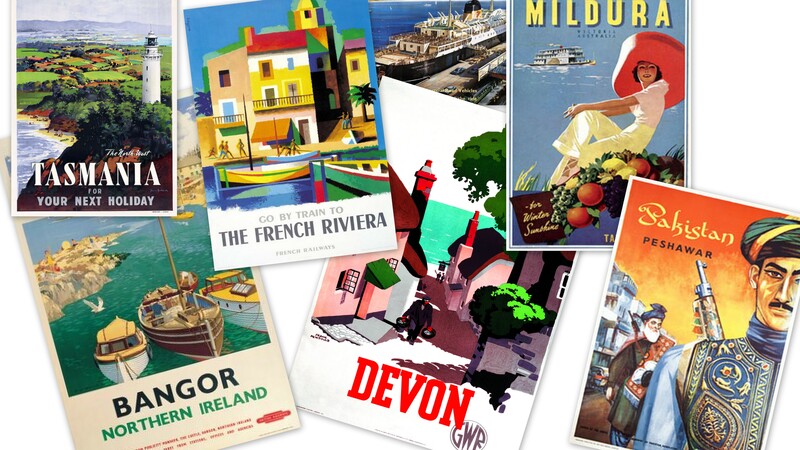 Vintage poster produced for Great Western Railway (GWR) to promote rail travel to London. 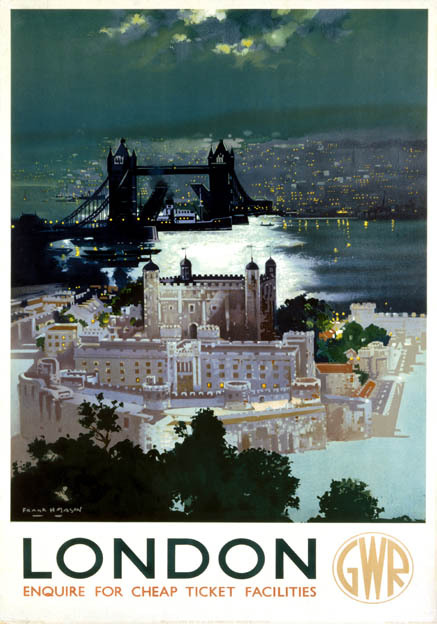 The poster shows a night time aerial view of the floodlit Tower of London. In the background is a moonlit River Thames with a ship passing under Tower Bridge. 1938. Artwork by Frank Henry Mason (1876-1965), who was educated at HMS Conway and spent time at sea. 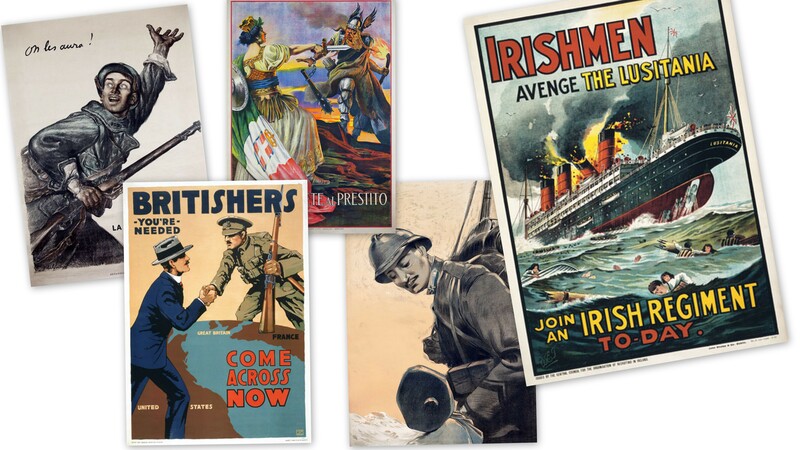 He painted marine and coastal subjects and was involved in engineering and shipbuilding. 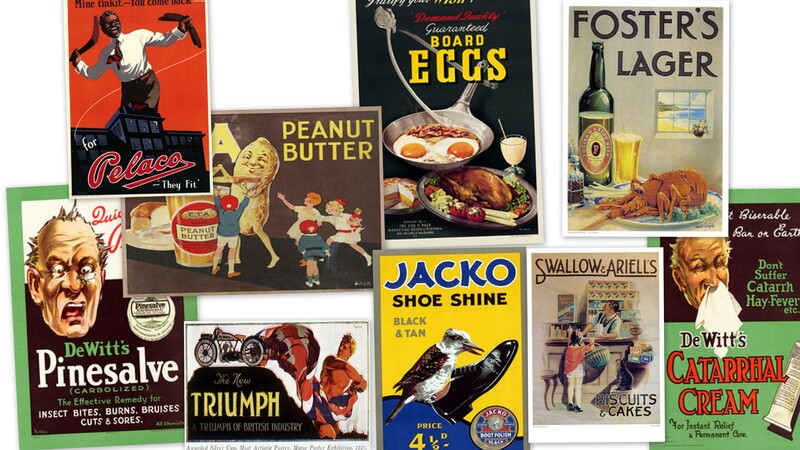 He designed posters for several railway companies.